It’s that time of the year when bloggers looking for something to write about trot out their “best of” lists for the year. I think most of us will agree it’s been a particularly crap twelve months. But hey, at least there are still books to give us solace – until the Bradburyesque Firemen come around and put them on their pyres. Bought on a whim at the Weekend of Weird in Loughborough in November. Rosalie Parker performed a reading of one of her recent stories at the event, a deliciously chilling tale of a walk across a frozen lake, so when I saw this, her first collection of fiction, on the book stall, I couldn’t resist. 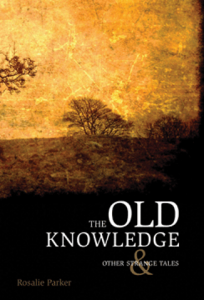 This is a splendid collection of strange tales – creepy, unsettling, enigmatic. “The Rain” is the standout story in the volume – a woman goes on holiday and the persistent rain washes away the lustre of the picturesque village and reveals a more unsettling and less comfortable place underneath. 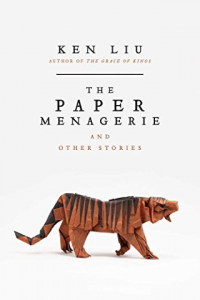 Ken Liu is probably the finest writer of speculative fiction short stories working today. His list of awards is ridiculously long, and this, his first collection of short fiction, is an essential read if you have any interest at all in sci-fi or fantasy fiction. Not every story is perfect, but the best of this collection are so good that they take your breath away. I put off reading this book for a long time. When it first came out, I was slightly put off by the reviews that mentioned the difficulty of reading the phonetically-written sections narrated by Bascule (the rascule). Then, after Banks died, I realised there would be no more Banks sci-fi books for me to read, so I kept it in reserve. 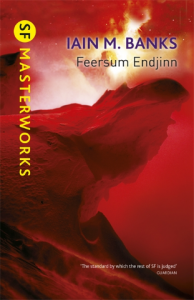 Eventually, prompted by the publication of the new SF Masterworks edition, I took the plunge – and kicked myself for not reading it earlier. The phonetic sections are a delight and provide a tremendous richness to Bascule’s narrative voice, and Banks’ trademark humour and humanity shine through. A masterpiece. Reviewed on this blog back in September. 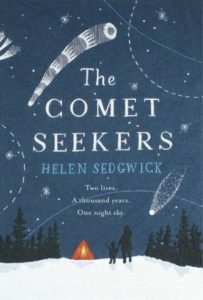 Beautifully written, with heartbreak, regret, and mystery, infused with a sense of wonder at the universe. This story of a murderer in the Highlands of the 19th century, told through a series of documents and interviews, is a tremendously powerful story, and was rightly shortlisted for the 2016 Booker. 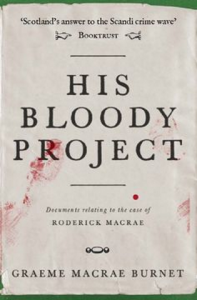 An excellent example of an unreliable narrator – in fact, multiple unreliable narrators, as each “found” document adds its own viewpoint on a horrific triple murder.